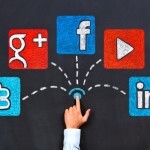 How to get a List of Recently Funded Startups Companies? Do you want to reach companies that recently secured their Series A or Series B funding? Curated the following list of places to get a list of companies which have got funding. AngelList.co – this is our favorite. It’s got very good search filters and you can browse as many as you want for free. Try this search – it has the recently funded Series A and Series B companies. After the page loads, you should click on the “Joined” column header so that you get the recent-most additions first. CrunchBase – this has the most advanced search filtering we could find out there. 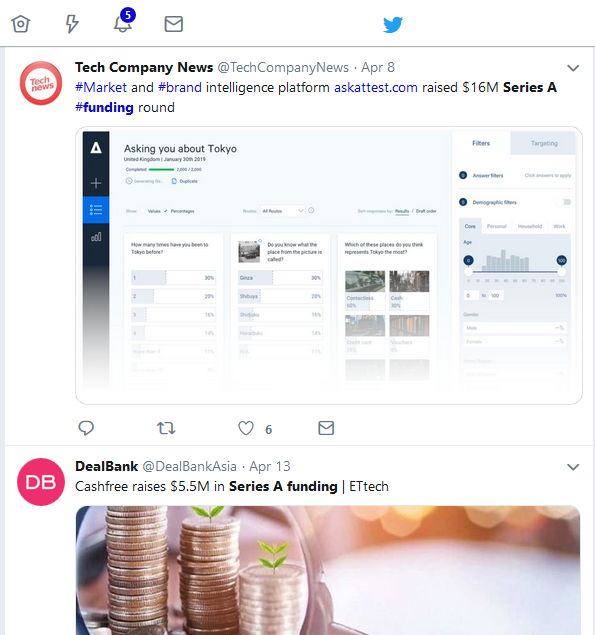 For instance, besides the typical who got funded recently search, you can also look for who got a private round of funding with just 1 investor? The first 5 results in every search are free – but you will have to pay for more. So if you are researching 5 a day, this is a good source. 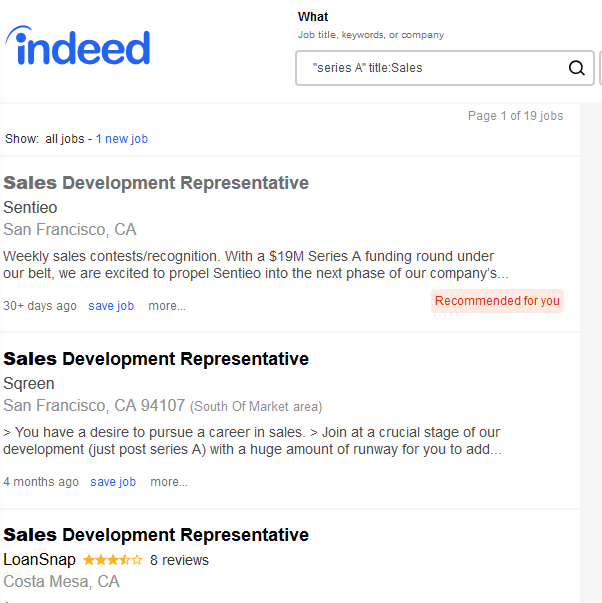 Indeed.com Job Postings – Another free source, where not many people are searching in. Think about it – if they got funding and they are hiring… then they are expanding and they need YOUR services or products! Try this indeed search. 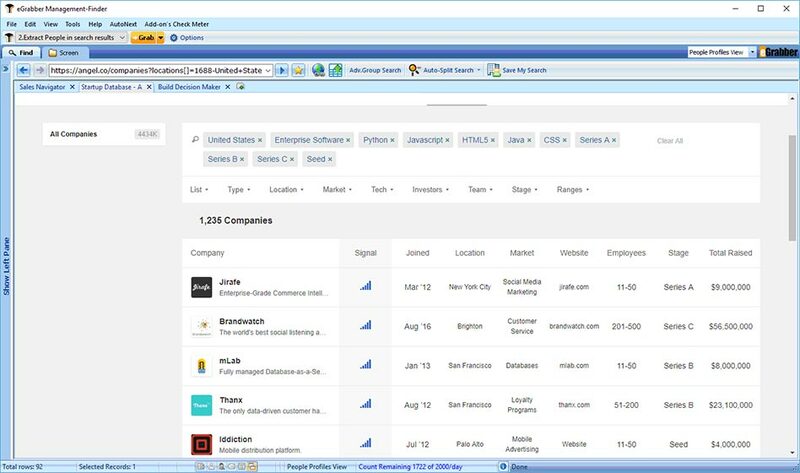 in this example, you get companies with a “Series A” funding who are hiring someone in sales. You can adjust the search text and find “Series B”, “Series C”… and you should adjust the keywords to look for the type of people who use your product or service. Google Search – If it’s hit Google, then it’s probably a little late already – but it’s never too late to try. 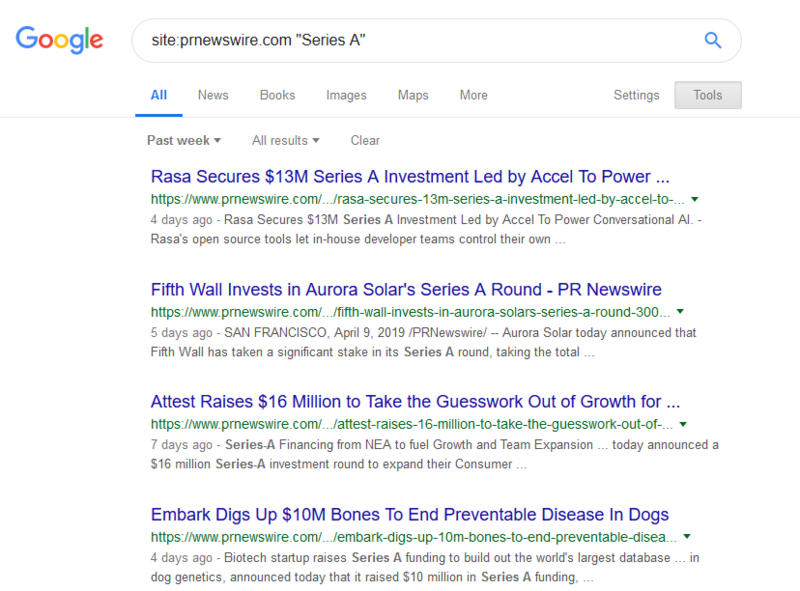 This Google Search does an X-Ray of a popular news and press-release site PR NewsWire and gives you the latest press releases of Series A funding in the last week. Feel free to adjust your keywords and find “Series B”, “Series C”. And if the list is too generic, you can add your industry keywords at the end of the search query – try adding blockchain for instance, and you get all the blockchain related companies who got a Series A funding. Twitter Search – If Google is too late, then try Twitter… you could get tweets from the founders earlier than you see the news in press releases and other sources. The downside – you see data from across the globe and you will have to filter it down to the geography you are interested in… unless you are targeting globally. 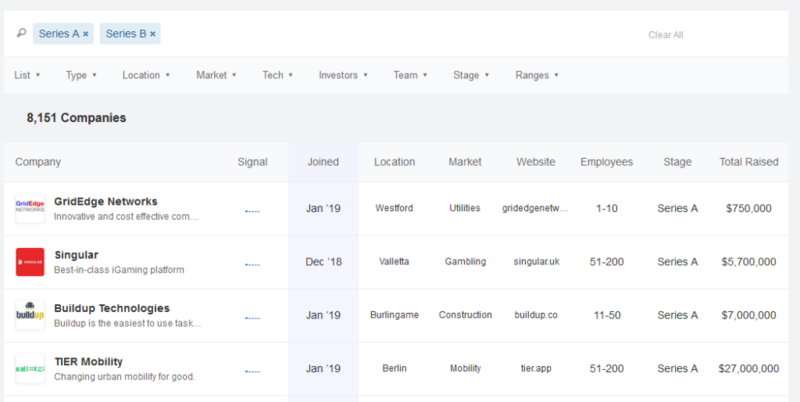 When you have the list of companies, you can use eGrabber Management-Finder to build the list of decision makers in those companies for you, along with their verified business email address, phone number, and LinkedIn ID. When you use Management-Finder, you can choose the companies that you want to target and you only get charged for the data that you get. You don’t have to pay for companies which are not your target – unlike other subscription services. Give Management-Finder a try here. You can get 50 names and email addresses for free. Fill this download form to get the Management-Finder tool and the license key. If you need, we can give you, and online demo and build the list for you too.